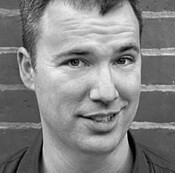 Daniel Nester is the author of God Save My Queen (Soft Skull Press), a meditation on his obsession with the rock band Queen. His work has appeared or will appear in Open City, Nerve, Columbia Poetry Review, LIT, Slope, Jacket, Crazyhorse, and The Best American Poetry 2003. He is the editor of the online journal Unpleasant Event Schedule. He lives in Brooklyn. Do you have any comments, criticism, paraphrasis or analysis of this poem that you feel would assist other visitors in understanding the meaning or the theme of this poem by Daniel Nester better? If accepted, your analysis will be added to this page of American Poems. Together we can build a wealth of information, but it will take some discipline and determination.